I hope you guys have been enjoying this glorious weather as much as I have. As much as the humidity makes my hair frizz like a poodle and my body perspire from head to toe, I’ll take it if it means blue, lush skies, birds chirping and beautiful, vibrant sunshine everyday. 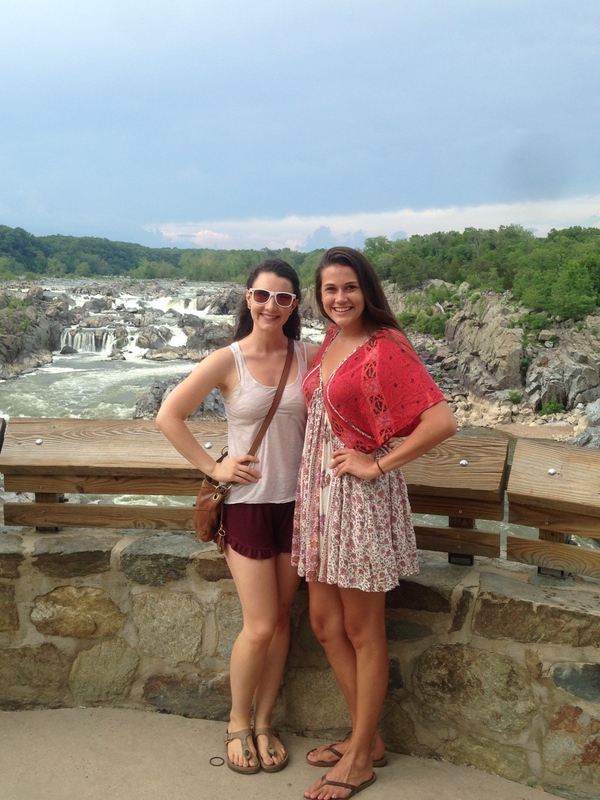 A lovely trip to Great Falls Park with my college friend from Virginia Beach, Melanie, this past weekend! 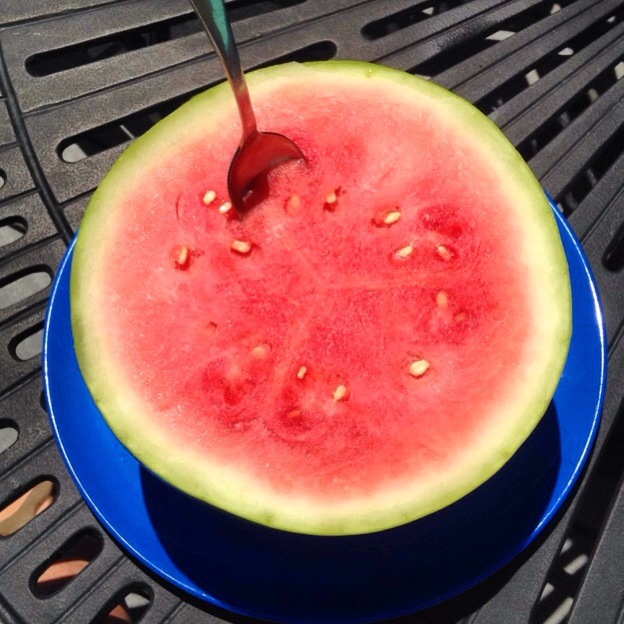 As I mentioned previously, my Watermelon Island detox was to set me up for a summer of clean, raw eating. So the actual detox itself didn’t last for as long as I anticipated, but it still did its job. 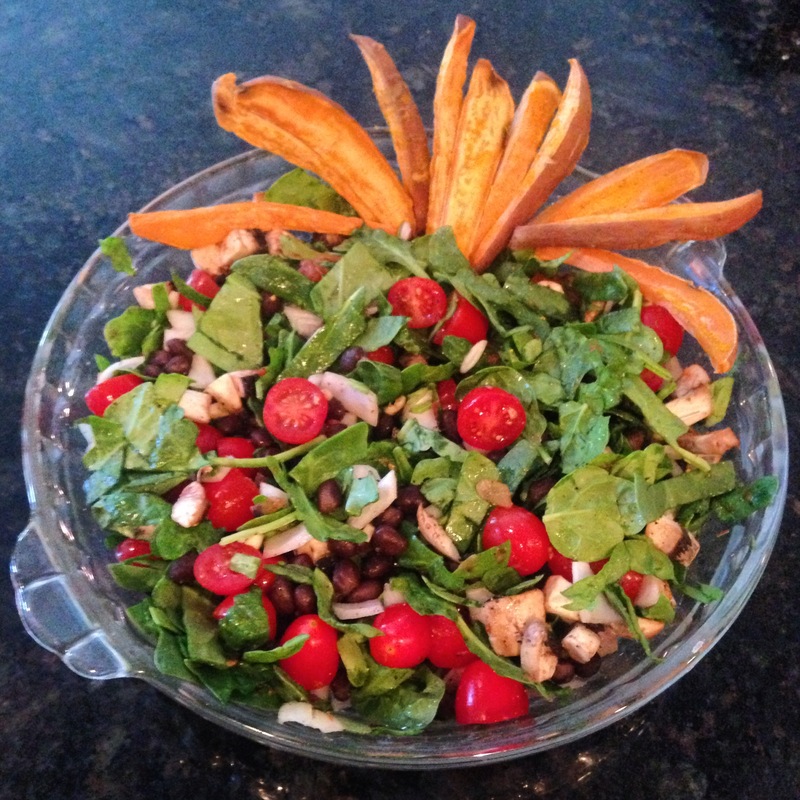 I have been feeling absolutely fabulous since the cleanse, eating high carb, low fat plant-based whole foods. I can feel my body thanking me everyday. 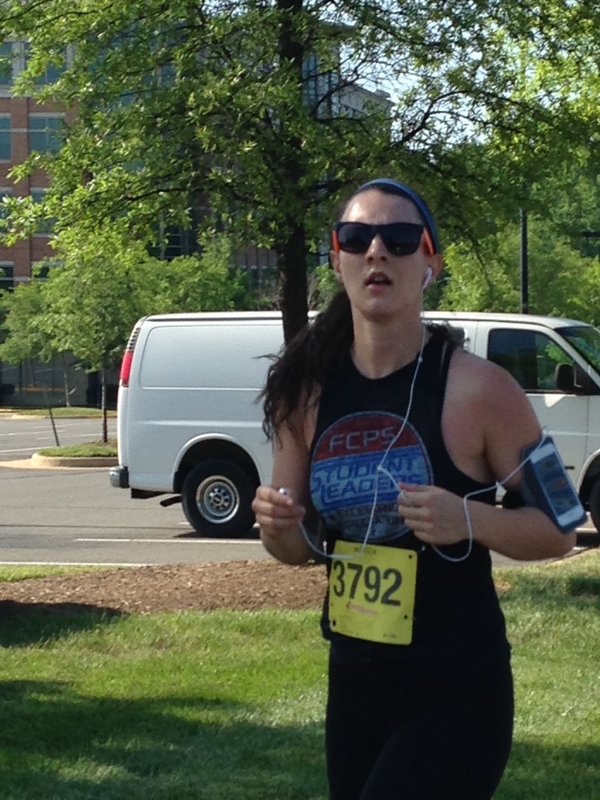 A paparazzi shot at mile 3 of the Oakton HS Football 5K this past Sunday — thanks Dad! One must realize that as much as a vegan diet is kinder, more sustainable, and almost always healthier than an animal product-based diet, there are many different forms of it. 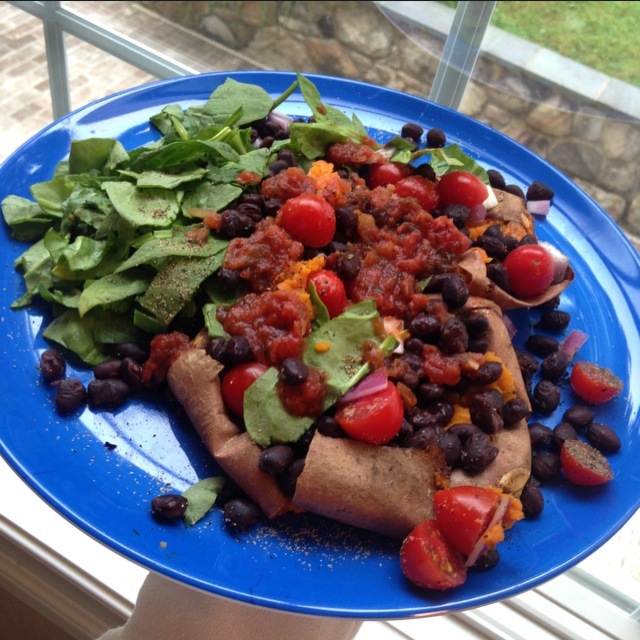 Simply eating vegan is actually a pretty easy feat. 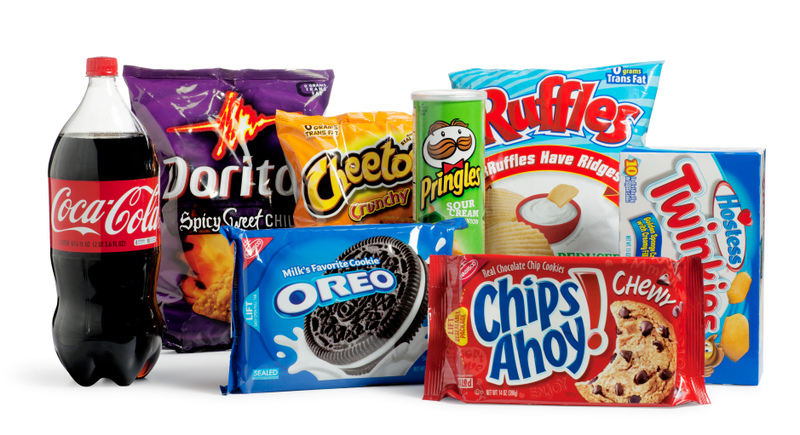 There are so many look-a-like, taste-a- like substitutes to any standard American diet food, tons of bread and junk food galore. Don’t get me wrong, it is so very admirable to make the commitment to go vegan, realizing that your decision on what to eat everyday impacts so much more than just yourself. And so many people make the change for so many different reasons – health, environment, animal welfare. For those that go vegan as a worthwhile investment in health, there is quite a learning curve. When I first went vegan, I did A LOT of research to insure I was getting every nutrient I possibly needed to be the healthiest I could be, but I really have learned so much more since. Vegans that jump right into the lifestyle without educating themselves tend to go heavy on the processed foods, such as soy, refined carbs and refined sugars. These will not give you the long-term health benefits you want. 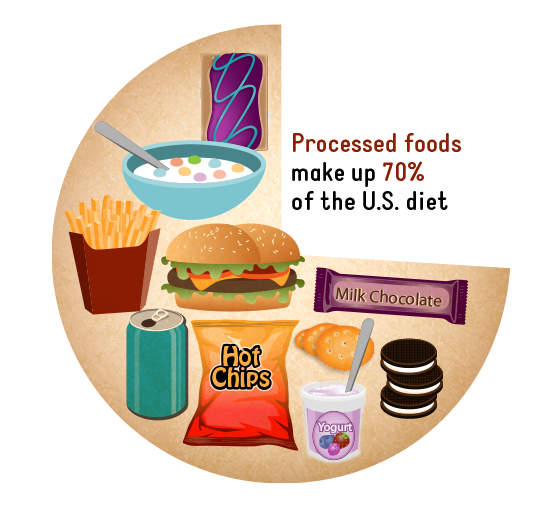 Just the same as any healthy diet, processed foods need to go. Need clarification? Do not buy food in packaging (yes, I know there are exceptions!). Through this process, I’ve also learned how detrimentally imbalanced the recommended daily nutrient breakdown is, and how sadly misinformed society is on what your body needs to thrive. Lesson 1 — We don’t need that much protein. Protein deficiency is so rare, only ever seen in people that are truly starving. Know why? Because our bodies only need about 10% protein, give or take. It is ALWAYS the first question I am asked and one of the biggest pet peeves/jokes among the veg community – “but how do you get your protein?” We get our protein from the original source, where animals get their protein – PLANTS! We gotta hand it to the meat and dairy industry for successfully brainwashing billions of people into believing that protein and calcium is the one characteristic their products have that we can’t get anywhere else — a genius marketing ploy if I’ve ever seen one. Although our bodies don’t need much, there is an abundance of protein available in a vegan diet, most dense in legumes, seeds, nuts and dark leafy greens. Lesson 2 — Carbs won’t make you fat. There is a dire misconception when it comes to carbs. One of the first things you hear when someone is trying to lose weight is “I’m cutting out carbs” — one of the worst ideas of all time. Carbs are what give you energy! Sure, cutting out carbs for a set period of time might make you lose weight, but you won’t be able to sustain it. Your body will feel undernourished, you’ll binge, and be right back to where you started. You should be feeding your body majority of carbohydrates on the daily. Yes, refined carbs are not a part of a healthy diet, but neither is anything else refined. Sometimes I don’t think people even realize what exactly a carb is. Fruits, veggies, grains and legumes are carbohydrates! You need these guys to thrive. These fibrous and starchy carbs are considered complex, sourced from plant-based foods. Simple carbs are the simple sugar carbohydrates, like fruit and artificially derived sugary food-like substances (junk food). In conclusion, not all carbs are created equal, and you NEED the good ones to sustain energy levels. Lesson 3 — Fructose is not bad. The diet media world gives fruit a bad name when it comes to a healthy diet. Fructose naturally sourced from the abundant fruit our planet provides for us is not bad for you and should never be limited. The fructose you need to stay away from is sucrose and high fructose corn syrup, or refined sugar, which has been conveniently placed in almost all processed food today. Fruit is filled with so many nutrients your body needs, and provides you with such incredible energy without weighing you down. This is where the 80-10-10 raw vegan diet comes in! 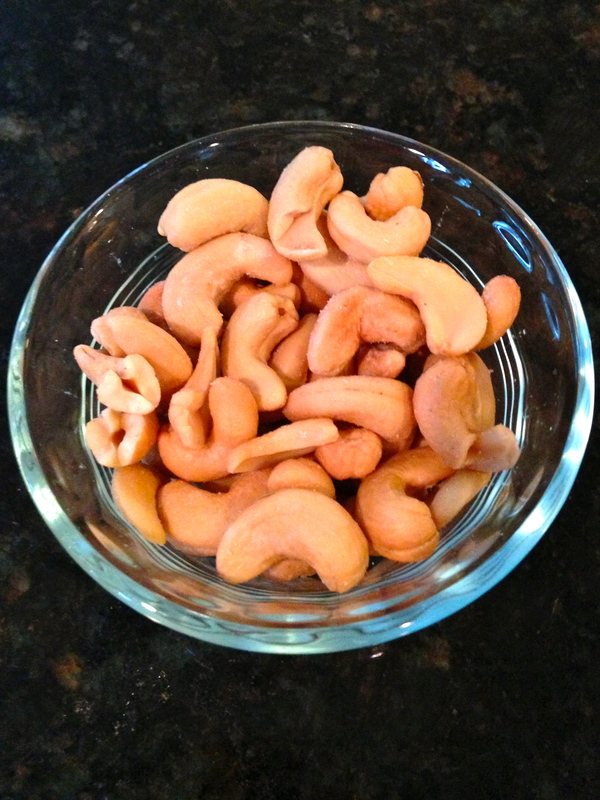 Lesson 4 — Foods in their raw, natural state are superior to cooked foods. As much as cooked foods are delicious, heat actually decreases nutrient content. Some people go as far as to say “heat kills food,” turning it into dead food. It does make sense though. Cooking food above 118 degrees kills vital enzymes, making it more difficult for your body to digest. Fruits and vegetables in their natural state, super dense in nutrients, are far superior, as they are how our Earth intended them to be. Some vegans even eat raw foods only, on the 80-10-10 diet, to allow for improved health and a stronger connection with the natural world. 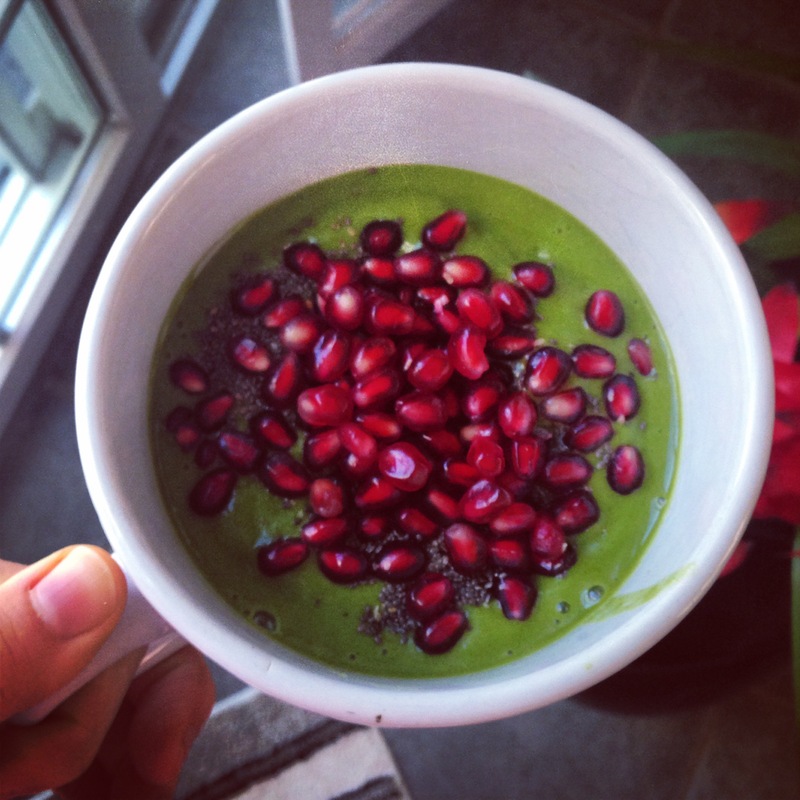 There is no food more powerful than raw, live plant-based whole foods. Lesson 5 — Good fats are good, but don’t go overboard. I’m a fat lover as much as the next person, but I’ve realized that fat is fat. Your body does not need too much of it, nor should it have too much of it. Plant-based oils, nuts, nut butters, avocados…you name it, I ate it, and a lot of it. It just so happens that fats can clog up your system, resulting in acne and other unwanted bodily reactions. To sum it up, these “healthy” fats are in fact healthy, but eat them in moderation, and not as a daily staple. Knowing this information, I have been actively trying to increase my raw food intake, up my carbs, and decrease my fats. I already feel SO much better. If you don’t believe me, take it from this awesome YouTube vlogger, Annie Jaffrey! Just within the 1.5 weeks I have altered my diet, I have already noticed myself leaning out and experiencing much greater energy levels. It really is a learning curve. Here I am at 1 year and 11 months vegan (one more month ’til the big 2 YEAR!) and still learning and changing things about this plant-based diet of mine. I hope I have shed some light on this amazing lifestyle me and so many others thrive off of. Never would I have thought I would be so knowledgable about nutrition, wellness, the food industry, animal welfare or the environment, but it kind of just comes along with the vegan tag. There is no doubt you will come out a changed person going vegan.